Up to that point I’d never thought in terms of “my day.” Nowadays I do and that may be why I’ve come to appreciate sleds like Arctic Cat’s 2017 ZR 3000 LXR. That’s not to say that blasting across a lake on Cat’s turbocharged Thundercat didn’t bring a smile to this rider’s face. But these two Cats are vastly different in purpose. The ZR 3000 LXR puts a smile on your face because at nearly half the price of the Thundercat, it delivers savings instead of sheer speed. Of course, they both deliver value. It simply matters how you define value; as price savings or as exhilarating performance. Price-wise Cat’s ZR 3000 LXR with its 60-horsepower motor mimics the suggested retail price of Ski-Doo’s MXZ Sport with the 60-horsepower 600 ACE four-stroke. Each of these sleds are priced hundreds of dollars below the more powerful competition of Yamaha’s 80-hp Phazer R-TX and Polaris’ 600 Indy SP. 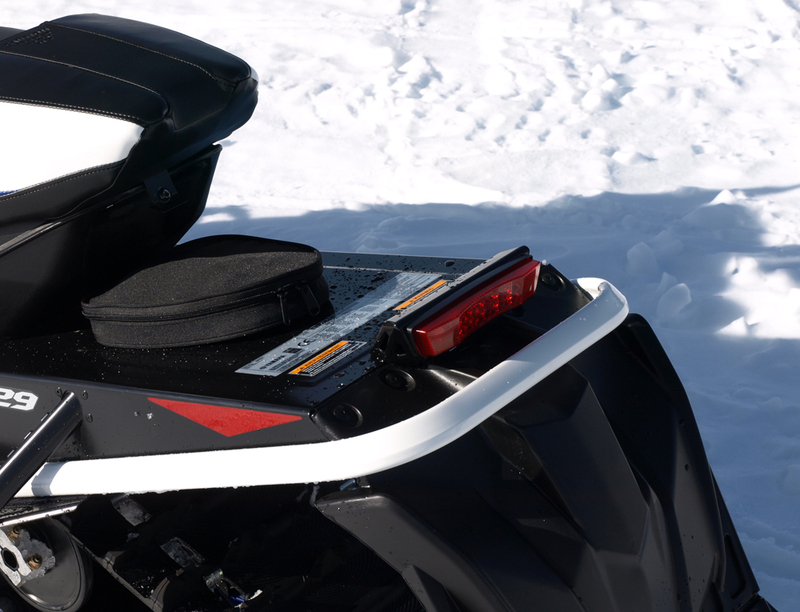 But head to head, the new Cat matches up well with the Ski-Doo MXZ Sport. 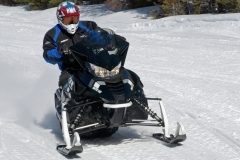 If we had to choose, we wouldn’t have a favorite as both offer good long term value for snowmobiling. Taking into account the snow-poor winters, we figure either of these sleds would provide excellent short season value for a long time. 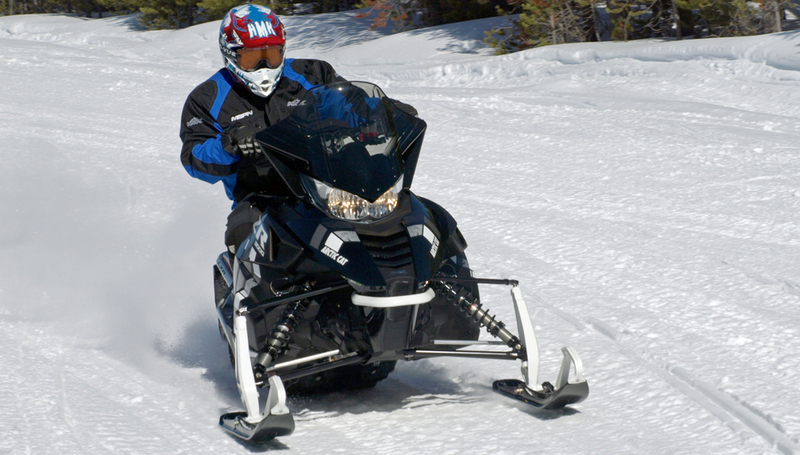 Back in our day, or say 20 years ago, the Cat ZR 3000 LXR would have been a performance sled based on its specifications. After all it does have a strong running 60-plus horsepower motor, which was a standard back in the day of Arctic Cat ZR 440s and ZR 580s. That day may be gone and the ZR 3000 LXR may be down on today’s power sled hierarchy, but it remains a solid value with a fun quotient upside. As with other of Cat’s ZR sport machines, the saddle is the high performance design that sits high enough to allow quick stand ups for rough running as well as sit back comfort for trail cruising. 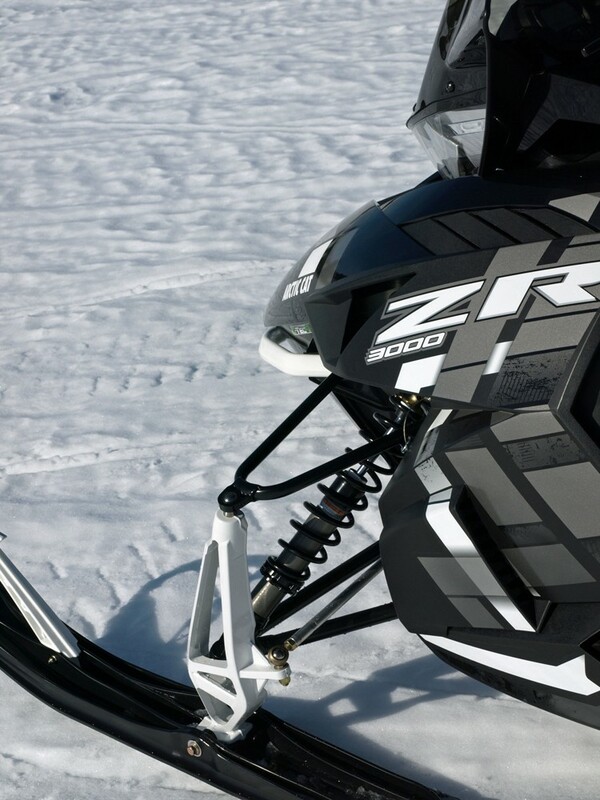 The ZR 3000 LXR drivetrain is uniquely Arctic Cat as its Series 3000 engine powers both sleds and Arctic Cat’s popular Wildcat Trail Side-by-Side. With a displacement of 700cc, the 3000 series four-stroke twin is totally modern with electronic throttle injection for smooth throttle inputs and, not to be underestimated, car-like cold weather starting. The 700cc twin that was introduced last season on various Pantera and Bearcat models is the result of a collaborative venture between Arctic Cat engineering that spec’d out the design and Kymco, which actually builds the engine. Paired with Arctic Cat’s own proprietary clutches, the Series 3000 twin pulls easily and steadily from initial engagement to full throttle. It’s quiet. It’s smooth. It’s clean running and makes for a compact underhood fit. With 60 horsepower from a modestly tuned 700cc four-stroke you shouldn’t expect to power sideway drifts out of the turns or get big air lift under full throttle acceleration. But you can expect good mileage, smooth and consistent on-trail performance and the ability to incur a speeding ticket if you get carried away. When we experienced the Series 3000 setup last season, we wondered if Cat might expand its use as we felt it gave Cat’s long tracked Bearcat and Pantera a smooth and pleasant on-trail presence. A bit more powerful than the fan-cooled, Suzuki-built two-stroke used in previous Cat “value” sleds, the Series 3000 four-stroke is decidedly more effective for long distance riding, being much quieter overall and more fuel efficient. In the lighter ZR chassis and turning a shorter 129-inch Ripsaw II track, the Series 3000 twin can display a bit more sport. Of course, again, this is no Thundercat. The ZR 3000 LXR benefits from the standard LXR upgrades such as the tall spindle Arctic Race Suspension, now fitted with Cat’s very good IFP 1.5 coil-over shock package. These independent floating piston gas shocks feature an anodized aluminum body to help reduce front end weight as well as high quality seals and an ice scraper to keep moisture from degrading shock performance over the suspension’s 10 inches of travel. The Arctic Race Suspension is fitted with Cat’s IFP 1.5 coil-over shocks that feature an anodized aluminum body to help reduce front end weight as well as high quality seals and an ice scraper to keep moisture from degrading shock performance over the suspension’s 10-inches of travel. 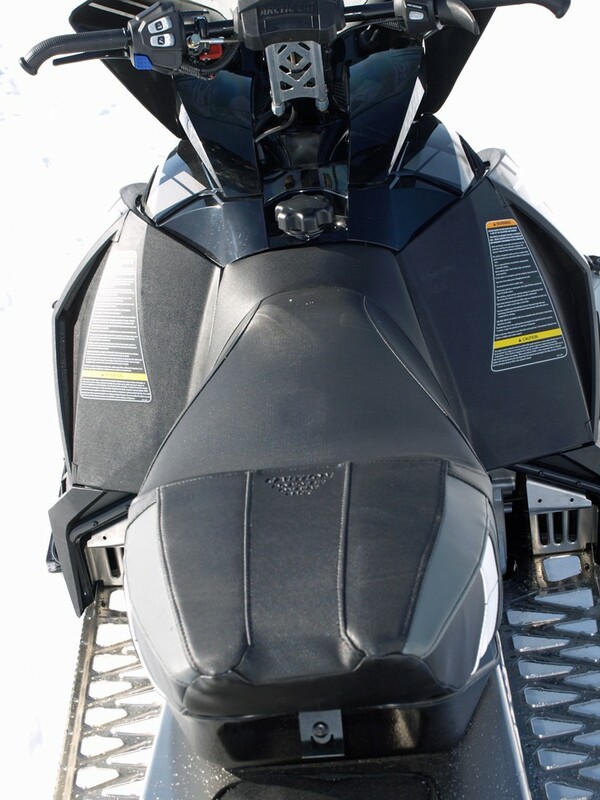 The proven slide-action of the rear suspension offers excellent trail performance for this 700cc sport sled. While not as trick as some of the competition’s rear suspension designs, we’ve found the Cat system works great in virtually all conditions and we expect it to be an all-star under the ZR 3000 LXR due to its less demanding acceleration and top speed realities. Cat again uses its own IFP 1.5 shocks on the suspension’s control arms to maintain stability through the design’s 13.5 inches of travel. Let’s not get carried away here; with 60 horsepower from a modestly tuned four-stroke don’t expect to power exciting sideway drifts out of the turns or get big air lift under full throttle acceleration. This is a true sport sled, yes it is. 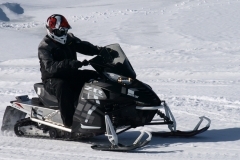 But it is a value sport sled meaning that you rightly can expect good mileage, smooth and consistent, if not spectacular, on-trail performance and the ability to incur a speeding ticket if you get carried away. 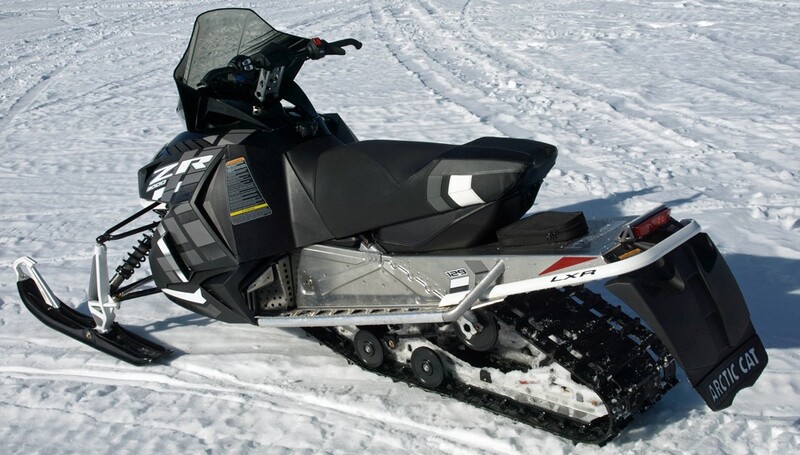 It may be a value sled, but the ZR 3000 LXR is pure Cat ZR performance sled in styling and on-snow performance. 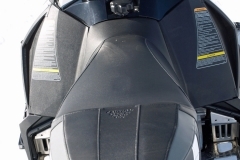 Ergonomically the ZR 3000 LXR is like Cat’s other ZR sport machines. The saddle is the high performance design that sits high enough to allow quick stand ups for rough running as well as sit back comfort for trail cruising. The Ripsaw II track will plant a good grip on the snow, but with a 1.0-inch lug height it’s designed for the modest cornering power of the 60-hp twin and not the magic of a 100-plus horsepower ZR. 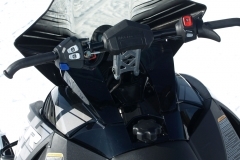 Still, though, the handlebar is among the best designs in snowmobiling and can be adjusted to your preferences. 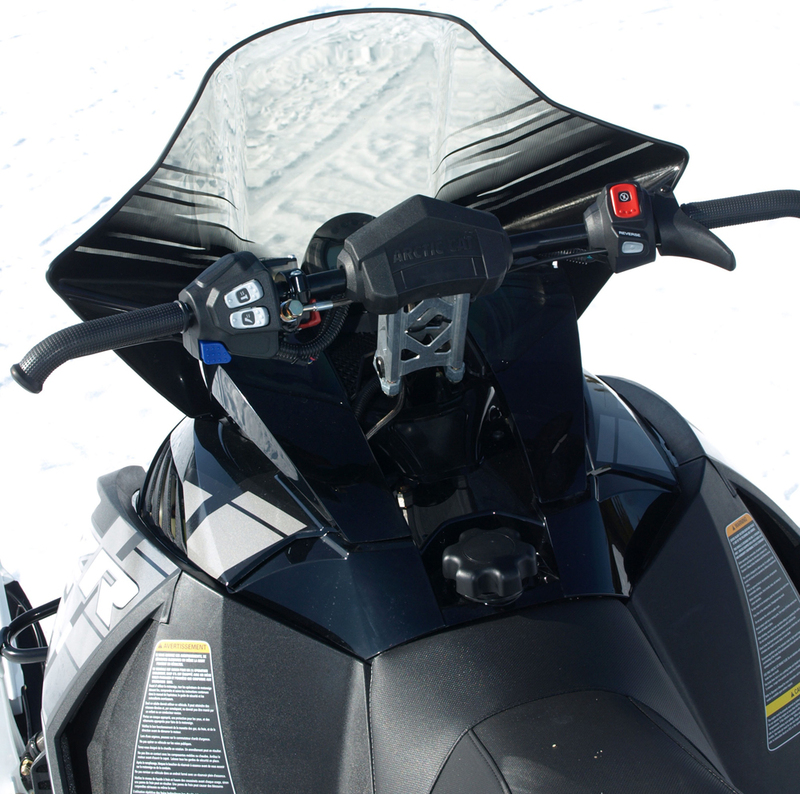 The ZR 3000 LXR’s handlebar is among the best designs in snowmobiling and can be adjusted to your preferences. 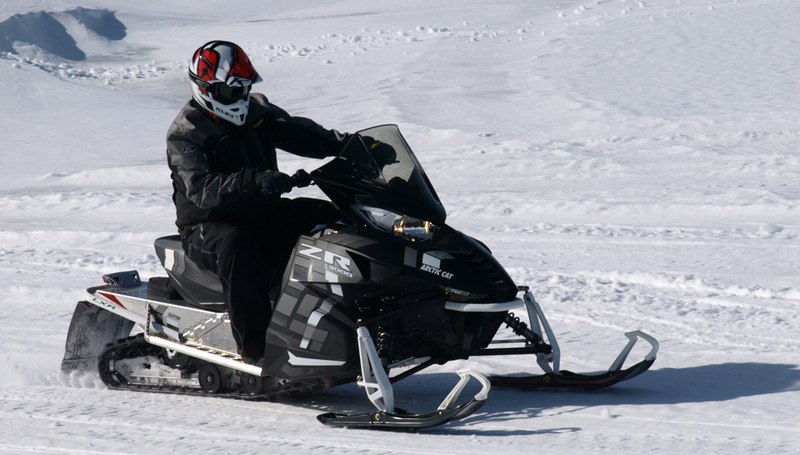 Whether back in the day or modern day, the ZR 3000 LXR is more than a totally pleasant value sled. 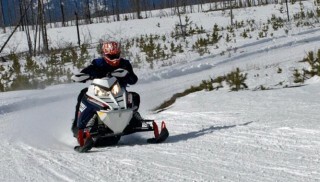 It is a sled that can make you a better rider simply because it has the Cat ZR DNA, which is built around performance. 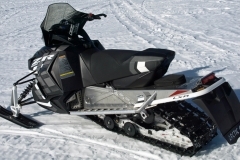 Admittedly we have tended to favor the old noisy and smelly two-stroke 550s, but sleds like this one and the Ski-Doo MXZ Sport 600 ACE have us revisiting that bias. 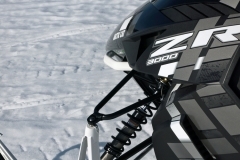 The ZR 3000 LXR brings value sledding into the modern world. While we probably couldn’t keep right on the snow flap of that Yukon rider any more, we feel confident that aboard the ZR 3000 LXR we’d keep him in sight. The sled may be modestly powered, but it still moves like an El Tigre. 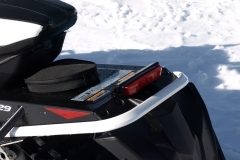 Part of the LXR amenities include a sport bumper and rear-mounted belt bag.